The Golden Halo 2019: Martha of Bethany! 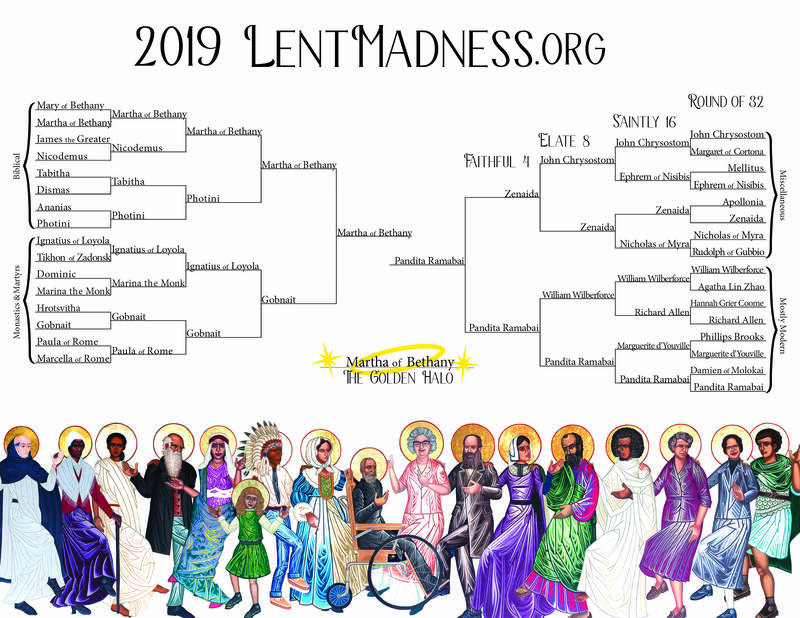 Check out the 2019 bracket, and then come here every day of Lent to keep up with your favorite saint. Clicking on the bracket will bring up a larger, up-to-date, printable one, or you can download a blank PDF. You also can buy your very own Giant Bracket Poster from Forward Movement! Get one for everyone in your church and everyone on your street! 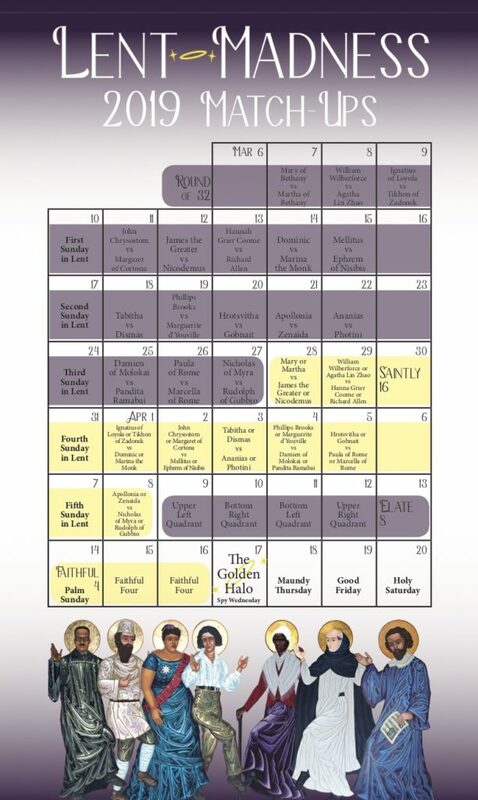 Click here to download a PDF of the 2019 calendar of Lent Madness match-ups or click on the picture below to view it in your browser.